Whether you’re new to the sport, or a lifelong fan, we hope you enjoy getting to know Luke as he takes golf by storm. Here you’ll find news, updates, and information about PGA TOUR player Luke Guthrie. Luke came into this world ready to be a golfer. Luke Guthrie began his professional career with a running start while at the University of Illinois. He received All-American honors, was named the 2012 Big 10 Player of the Year, and back-to-back Big 10 individual titles. He was the first to do this since Luke Donald in 2000/2001. This solidified Guthrie as a major player when he joined the Web.com Tour. He quickly won two tournaments on the Web.com Tour, the 2012 WND Golf Classic and the Albertson’s Boise Open Presented by Kraft. He also finished second at the Nationwide Children’s Hospital Invitational and had multiple top finishes. He ended the season second on the Web.com money list, earning his PGA TOUR card. 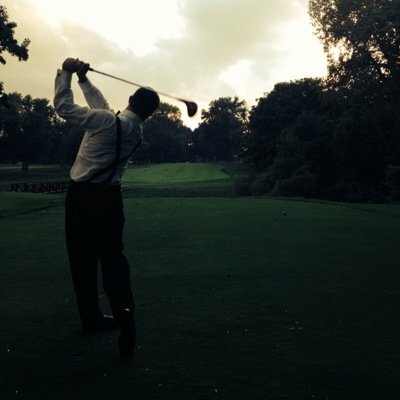 Luke has officially been on the PGA TOUR for four seasons. After finishing third at the Honda Classic and has earning a spot in the top 150 FedEx Cup Standings he has returned to the Web.com Tour, where he has had multiple Top 25 finishes. When not on the course, Luke enjoys spending time outdoors with his wife and their dog, Banks. Learn more about Luke by visiting his Official Profile, seeing his latest social media updates, and his schedule! Congrats @MGligicGolf on the W! Awesome stuff man! Dominating victory for @IlliniMBB last night! Freshmen leading the way too.